(CBS News) February 29, known as a "leap day," is a rare day. And this year, it's Rare Disease Day. In the U.S., a rare disease is one that affects fewer than 200,000 people. There are about 6,800 such diseases, according to the National Institutes of Health. As many as one in 10 Americans suffers a rare disease, often struggling not just from the medical condition itself, but also to get proper diagnosis, information and care. 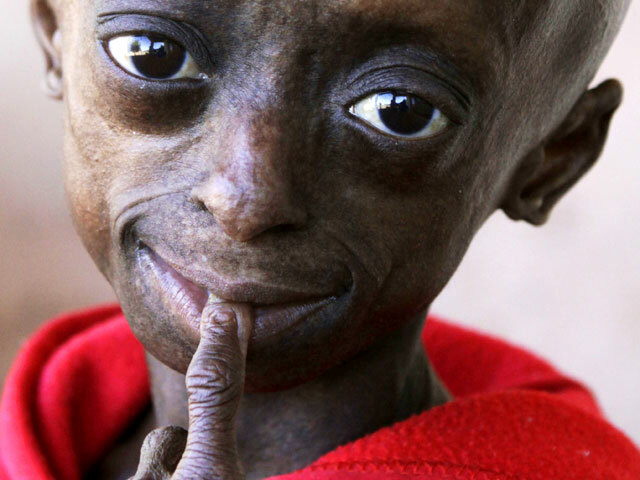 Examples of rare diseases include such conditions as Progeria, a syndrome characterized by premature old age; Proteus syndrome, which involves atypical growth of skin and bones; and Williams Syndrome, a disorder marked by extreme friendliness and no social anxiety. Rare Disease Day was launched in Europe in 2008 to draw awareness to the public health issue of rare diseases. The day has since been sponsored by the National Organization for Rare Disorders (NORD) in the U.S., an organization that was established in 1983 along with the Orphan Drug Act, a law designed to promote the development of drugs for rare disorders. Has the act worked? A study published Feb. 27 in the journal Pediatrics looked at what the Orphan Drug Act has done for children with rare diseases in the past 10 years. Examining the U.S. Food and Drug Administration's database from 2000 to 2009, researchers found 1,138 orphan drugs (drugs developed specifically to treat rare conditions) designated and 148 approved. Pediatric orphan drug approval increased up to 30 percent by the end of the decade. What's more, researchers found more than half of the new approvals were for the least common disorders - so the rarest conditions, affecting fewer than 20,000 Americans, benefited most. Although the numbers are encouraging, the study did not look at the effectiveness of the drugs. "They're not looking at the quality of the approved drugs," Dr. Aaron S. Kesselheim, who researches health policy at the Harvard School of Public Health in Boston, told Reuters Health. According to Kesselheim, clinical trials of orphan drugs are generally small and flawed. This year's Rare Disease Day focuses on the theme of solidarity and "the need for collaboration and mutual support in an area where patients are rare, expertise is scarce and people affected face similar challenges," according to a statement from the European Organization for Rare Diseases. NORD has more on rare diseases.